Seriously, learning to love apartment living is a skill. Not all apartments are created equal and we've experienced that first hand in our years of living together. From tiny one bedroom places that don't even have room for a couch to large apartments that rival the square footage of some houses, we've lived in a lot of different places. 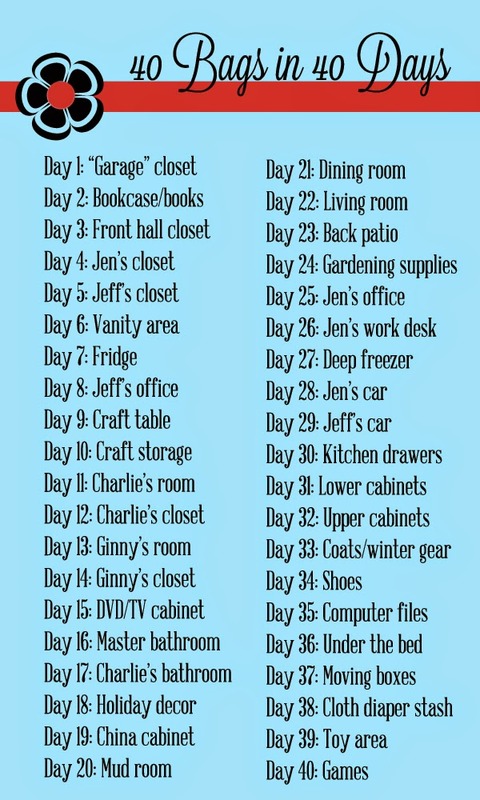 This mini blog series will be all about apartment living, from decorating that make you lose your deposit to toy storage that doesn't make your house look like Toys R Us, with a few surprises (perhaps a giveaway?) thrown in. The first thing we learned about living in a small space was that we couldn't have a lot of crap. It sounds like a simple equation, but you'd be surprised how easy that is to get wrong. I think no matter how big the space you live in, it's easy to collect a lot of...stuff. Stuff that you're not even sure how you got or why you still have it. Keeping what you own to a dull roar is often the most helpful thing you can do. Plus, if and when you move, it's less to pack and transport! Earlier this year, we went through the entire apartment with the 40 Bags in 40 Days challenge and cleared out a TON of stuff we weren't using. We're currently working on doing that again, believe it or not. I swear, we're not hoarders. We just accumulate...stuff. I'll admit to cheating a little bit and going out of order. Due to opportunistic circumstances, days 9, 10, 18, 24, 25, 26, 35, 38, and 39 have happened in the last week or so. Don't you worry, I'm certain there will be days that we miss, skip, or forget about. The important thing is that we're getting rid of crap and keeping it to a manageable level of clutter. In the meantime, stay tuned for more apartment related posts and check out my Pinterest board for more ideas on how to make your little piece of rental into a home. Follow Jen (All Four Love)'s board Apartment Living on Pinterest.